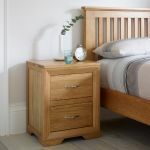 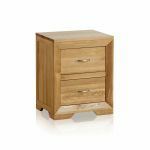 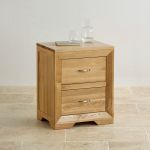 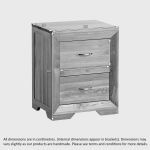 The Bevel Natural Solid Oak Two Drawer Bedside Cabinet is designed to be the ideal companion for the Bevel Solid Oak Bed, however its contemporary design allows it to complement almost any of our natural oak beds. 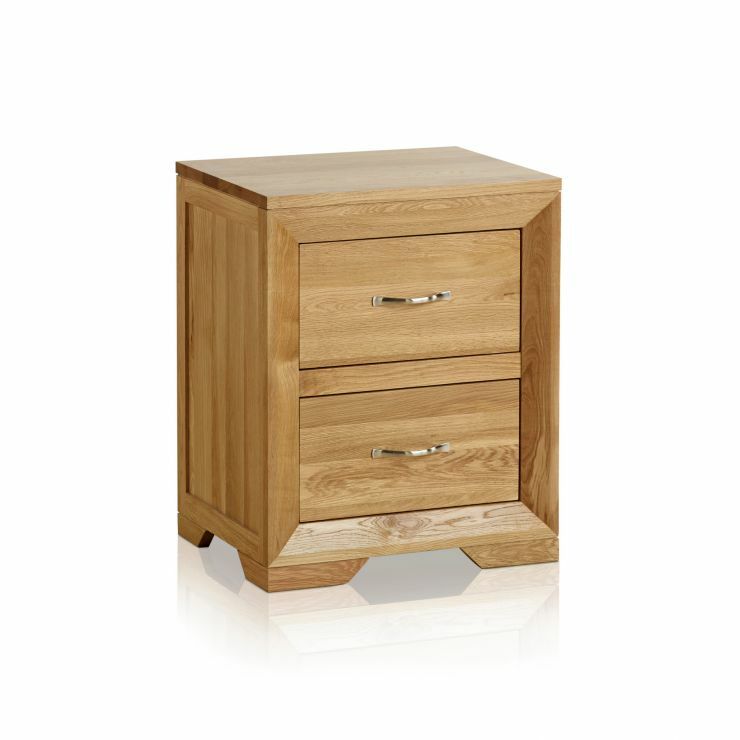 Featuring two generously-sized brushed metal handled drawers, it offers ample storage space for all manner of items. 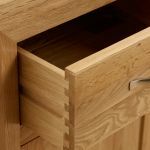 The cabinet also sports the range's signature bevelled face frame with expertly mitred corner joints and elegantly angled feet. 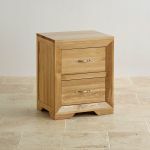 In order to meet our exacting standards of quality, every inch of the unit has been scrupulously crafted from A-Grade solid oak by expert joiners, and then finished with a fine coating of furniture wax to enhance and protect the grain.